Bradley Jason Davis – Born April 4th, 2007 completed his work here on Earth and returned home peacefully to his Heavenly Father on June 28th, 2018. Brad, B-rad, B, BDB, Beef, Beefcake, Beefcake in the weeds, Big Red, Bradley Bear…no matter which nickname you knew him by his outgoing personality and blazing red hair was certainly the life of every party and he shared his love and happiness with all those who he came in contact with. He had a passion for music, playing the piano and the drums, as well singing. He sang in any venue, from private concerts for one or two people in the house, to church meetings, as well as karaoke on cruise ships and even sang the 7th inning stretch in front of over 15,000 fans at Cubs and Giants Spring Training Games. He loved baseball and was a 5 year veteran of The Miracle League of Arizona (www.mlaz.org). He enjoyed being outside and was very active. He loved his cousins and spent any chance he could with them. He loved anything with wheels and loved going fast on anything with wheels, especially his tandem bike, the green machine, the race car, The Beast, and The Viking. He was always in the mood for bean burritos, breakfast burritos, anything chocolate, pancake Saturday, chocolate milk and never met a cookie he didn’t like. His squealing laugh and his smile were contagious. He could cheer you up with his most legendary “squeezes” (hugs). Although he was born blind, he didn’t let that slow him down. He knew who you were by the sound of your voice and never forgot a voice or a name. He taught thru his example to accept and love others for who they are even if they are little different than you. He leaves behind a loving Mother (Evonne) and Father (Jason) and three siblings, Older Brother, Tyler (13) and younger twin Sister and Brother, Abigail and Daxton (6). He has many relatives who have preceded him and will watch over him for this short time away. He is loved by all who had the privilege to know him and his departure will surely leave a void in all of our hearts, but at the same he has filled our hearts with so much love. We thank all of those who have helped him along the way, from so many friends and neighbors, as well as his doctors and nurses and therapist and teachers who have so lovingly cared for him all. Visitation and Viewing Thursday – July 5th, 2018, Bunker Family Funeral Home, 3529 E University Dr. Mesa, AZ 85213 from 6:00 pm to 8:00 pm. Funeral Service is Friday, July 6th at The Church of Jesus Christ of Latter Day Saints, Alta Mesa Stake Center, 5350 E. McLellan Rd. Mesa, AZ 85205. Viewing 9:00 am – 9:45 am and the Funeral at 10:00 am. Graveside service to follow at, Mountain View Cemetery. I love you guys – you are in my prayers. Evonne and Jason, Sandy and I are heartbroken and devastated by the news of the passing of Bradley. Although we never had the privilege of meeting him, your words and stories make us feel like we knew him, and make us wish all the more, that we had had the chance to met Bradley. We will keep him, as well as you guys in our heart and prays. May he rest in peace, and look over you all until you guys are reunited again. We are so sorry to hear of Bradley’s passing. Our hearts, thoughts and prayers are with you . This wonderful precious boy was such a blessing to everyone. We love you. Evonne and Jason, I am so heartbroken as I read about Bradley. You are in my prayers. So sorry for the loss of this sweet young Bradley. My heart goes out to all the family. My heart goes out to all of you. I helped Bradley with his adpapted p.e. for the last few years. He always had a smile for me and told me countless stories of playing with his cousins and going to Disneyland. Everytime I asked to go, he said” Sure! Come on! !” I will never forget him. Gail and Linda, our hearts go out to you in the passing of your amazing grandson. Our love and prayers are with you and your dear family always!!!!! There are some people that are just too good for this simple world. From the stories you have shared it is clear that the Big Red Bradley Bear made his mark in a shorter time than it usually takes for the good ones to do there work here on earth. I’m sure he will be missed by many, but it’s absolutely certain that he won’t be forgotten by any one that was lucky enough to be graced by his presence. Evonne, Jason, and family. It was such a privilege and joy to have known and worked with your son. He truly brightened my day when working with him each Monday morning. His unconditional love and enthusiasm was an inspiration to me. I will truly miss him. I am deeply saddened by the news of Bradley’s passing. Although I did not have the privilege to meet Bradley, I did read the words you shared with us and I hope you find comfort in knowing that someone so special and loved will always be remembered. My heart is with you and your family during this difficult time. My thoughts and prayers are with your family. In the two years I worked with Bradley he always had a smile on his face. He was a constant joy to be around and always so full of sunshine and laughter. 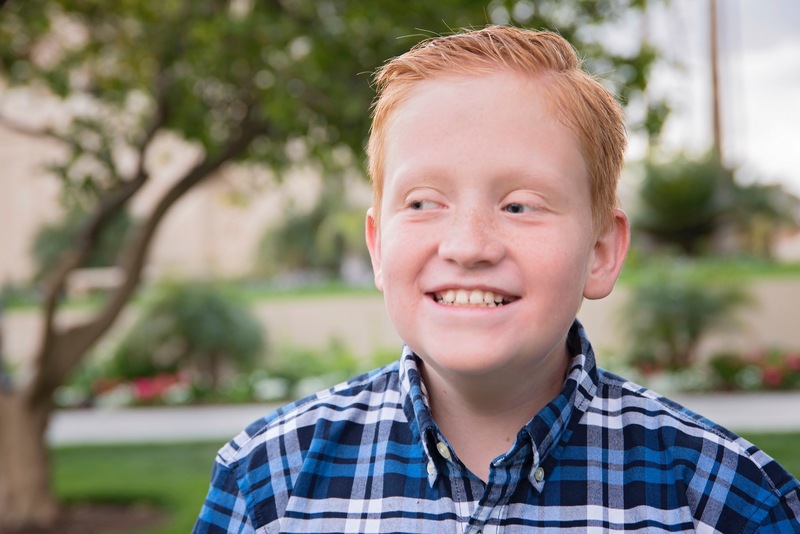 Jason, Evonne, and family – I am heartbroken at the loss of such an amazing young man. I loved the time I got to spend with Bradley as his primary teacher – his smile was contagious and his love of life was purely immeasurable. He was such a joy to be around! I can only imagine what an honor it must be to be his parents and siblings!! He was truly one-of-a-kind and had a profound impact on all he met. Bradley will be missed dearly. Lots of love heading your way from our family!! I was in Bradley’s church and music class. I will always remember him as the sweet blind boy who changed the world. I am going to miss him but I know that I will get to see him again. I shed some tears for him. We are so sad to learn of Bradley’s passing. I did not know him well, only glimpse of his sweet spirit. Knowing that families are forever will give great comfort in the healing process of your broken hearts. Our prayers and thoughts are with all of your family. Ah`…Linda & Gail ….it so saddens my heart to hear of your loss of one of you fabulous grand-children ; I can’t imagine the feeling of loss it would bring. Know that he is in a better place and you both will be reunited with him latter. My heart goes out to Evonne ~ Jason and Family and Godspeed with the healing of the grieving process. Always knew who I was when I shared Smarties with Him at church and in the neighborhood!! He will be missed by all but Am glad for Him to have His sight restored so He can look back on us to make sure we make good choices so that we can have a grand reunion some day !! Bradley was such an amazing strong light, and he spread happiness and light everywhere he went. We are so sorry for your loss, sending love and prayers. Love you guys! I was sad and shocked to hear of Bradley’s passing. I remember when he was first learning to ride a bike down the driveway of your Dartmouth home with a barrier at the end to stop him. Your family has always had a place in my heart. we are so sorry for your loss! Bradley will always hold a special place in our hearts. Thanks to Bradley we got to be apart of the amazing miracle little league. One of my favorite memories of Bradley was during one of there baseball games and my mom was his buddy for that game, he asked my mom what she looks like, they became fast friends by the end of the game he kept asking her hey “nana” will you be my buddy for every game?!? I am so shocked to hear this news… our hearts and tears go out to your family at this time. When the Primary children of the Trovita ward would go up to the front of the chapel and sing songs there was one child that my eyes and the Spirit would draw me to who would always know every word to the songs sung… that would be Bradley. He would be so brave to go up and stood for what was right. I grew up with a great friend I had who was visually impaired but that didn’t stop him from climbing Squaw Peak mountain and attending the local public school. He was an inspiration to me and throughout my life when we were kids and Bradley also seemed to be that type of character. You could feel such a good and warm Spirit in him always when I knew he was around at Church. This experience I had seeing Bradley stand up and sing is an inspiration to me and will help me and my family throughout my life. He was needed elsewhere and the joys and his smile will last forever in our hearts/memories. We’ll always be there for your family just like how Bradley was there for all of us. We will miss this precious little angel! His love of music and fun attitude always make me smile! Bradley was a miracle in himself, and one of my favorite stories of triumph at the Miracle League of Arizona. I will never forget the sheer joy and pride as he hit that first live pitch on his own, nearly taking off Dave’s kneecaps, and as he so beautifully sang the 7th Inning Stretch in front of hundreds at Sloan Park! I send so much baseball love and strength from his large, extended Miracle League family. That smile, red hair, and incredible attitude will be greatly missed, but forever remembered with us! Bradley was simply amazing. I was lucky enough to be his primary teacher for a short time last year. He won my heart over by his attitude and enthusiasm. Family and friends will all miss him, and we pray for the spirit to comfort all. I will always remember calling out his name as I would see him and he never missed answering back, hi Brother Ricks. To a wonderful family of dear friends I express my condolences for the passing of a son and grandson. Grateful for the knowledge of the gospel that brings the peace of knowing families are forever. To a wonderful family of dear friends, I express my condolences for the passing of a son and grandson. Thankful for the knowledge of the gospel that brings us peace in knowing that families are forever. I can’t imagine your pain in losing a precious grand child. So grateful for the knowledge that we will see our loved ones again. Sending Love & prayers to you and your family. Gail, Linda, Evonne and family. We were so sorry to hear of the loss of your son and grandson. Our hearts go out to you. What a comfort it is to know you will see each other again. Our prayers are with you. I am so sorry for your loss. My heart and prayers go out to you during this most difficult time. May memories of Bradley and the love of the family surround you and give you strength in the days ahead. Seeing Bradley’s smile every Saturday morning at the Miracle League was always a highlight of my day. I will never forget playing with him and his buddy in the outfield, taking the ball on an adventure through outer space. His positivity and great attitude were an inspiration to all of us, and will be greatly missed. Sending you all thoughts and prayers during this difficult time. One of the ALL TIME GREATS of Miracle League Baseball….As a founder of MLAZ ,I was blessed to be the Game Time Announcer. It gave me such joy to watch Brad waiting anxiously on the on-deck circle as he prepared to hit. In the beginning we set the ball on the tee and let Bradley swing away..As time passed he gained confidence and Dave H. would pitch him the ball..I remember coach Jim..standing near him and giving him verbal clues as to the ball was coming from Dave into his arch of swinging the bat… “SWING”…What LOVE to watch the guys help Bradley make contact..and make contact he did!!!! Then it was off to the races as Bradley hustled down the line….Once he reached third ,you knew he had the “green light” and he would head home, as we all cheered him on.. he crossed the plate his face exploded with joy…..What a privilege we all shared as his happiness was contagious, and we carried that smile with us all day..and will do so every time we think of him……I will ALWAYS remember this beautiful boy…..God has called him Home ..Thank You Bradley for being such a wonderful boy who brightened our lives and made us all realize the Love we all share at MLAZ..
My thoughts and prayers are with you and your family. Your young man Bradley will forever be an inspiration. What a wonderful gift. Jason, I never met your Bradley, but I knew through our discussions that God had given you a special child to care for. Remembering you and your family during this difficult time. Prayers your way…Families are for ever. Bradley was such an amazing young man. I never saw him when he wasn’t happy and smiling despite his challenges. It was such a blessing to be able to spend Saturday mornings with him at Miracle League. During his last game he talked about coming back with the Dodgers next season after the summer break. I won’t forget him, and I know that he will be with us in spirit. Bradley was always happy and had a smile on his face whenever I saw him. I was blessed to be able to spend so many Saturday mornings with him at Miracle League. During his last game he was talking about coming back for our next season after the summer break. I will always remember Bradley and know that he will be with us in spirit during our next Dodger season. I am a teacher at O’Connor. Bradley put a smile on my face every time I saw him. He was such a sweetheart who would bright up the room with his contagious smile. I will miss seeing him walk through the hallways. My thoughts and prayers go out to his family and friends. I too work at O’Connor. Bradley always had a smile and something nice to say every time he came through the office. I loved finding mail for him to deliver to the classrooms. He was a joy to all of us at O’Connor and will be sadly missed. Our hearts are heavy for you in this heard time. He was an amazing little man and always had such a positive impact on his friends around him. I am blessed to have known him, and for my child to have him apart of his life. I pray that you and your family find peace. We will miss him and his smile at school everyday. Amari and myself would like to send our deepest condolences to Bradley’s family. I can’t imagine such a great loss and words cannot begin to describe how deeply saddened we are by this news. Bradley and Amari were teammates for years at miracle league and Amari who isn’t one of many words would always talk about Bradley and want to sit next to him. May god bless Bradley and your entire family. I pray for strength and healing in this time of such a unimaginable loss.